Worried about pests? Don’t worry we’ll go to help you out with the quickest amalgamated pest control Brisbane system! We provide pest removal services throughout Brisbane Northside, Southside, East, West likewise as Ipswich and Toowoomba. What are you waiting for? Request a free estimate or book a meeting. Eco-friendly technologies also are used to tell a kind of computerized machine that may help pest control. A house inspection may be a restricted, non-invasive examination of the condition of a home, typically in reference to the sale. We have a good, skilled and high-quality team, our trained employees can defend your home and family against any pests. We are the corporate for safest pest removal. We know around dangerous insect & provide insects control. Singhz Pest Control Brisbane specialises in commercial and domestic pest control services including general and timber pest management treatments. In case, it is bed bugs or group of Portuguese arthropods, our amalgamated pest control specialist knowledge to calmly remove any of pest from your home or business place. Hence, we make sure you and your family have a happy and healthy living atmosphere. Singhz Pest Removal can tell you a heck of a lot about pests behaviour, their habits and the best way to remove them. Therefore, if you’re looking for a trusted pest control team who can take care of all your pest removal and treatment needs, you know who to call. We treat mice, rats, and ants, ticks, bed bugs and fleas, silverfish and cockroaches as well as termites. Less normally species include birds and possums, spiders, bees, and wasps. We are Brisbane based Pest Management Company that use only eco-friendly products that are secure to use around kids and animals. In addition, we hold relevant licenses and insurances to provide peace of mind for our residential and commercial clients. 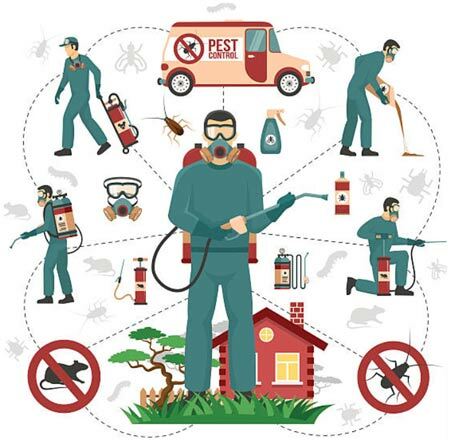 Above all, our Pest Technicians are skilled to hold out thorough Amalgamated Pest Control Services on your rental or own property for all General Pest Control, Pre Purchase Inspection, Pest Inspections. Our Pest Inspection and Pest Treatment cover each surface wherever the bugs would possibly go, as well as within your home or workplace and outdoors within the yard and garden. In other words, we even go up into the roof wherever insects breed without human intervention and eventually create their manner into your home or workplace seeking food scraps and water. Other Amalgamated Pest Control Companies are as thorough as Singhz Pest Control Brisbane. When you decide or email us for a free quick quote, please advise if you have got any specific pest issues, therefore we will pass this info onto our Pest Technician. Singhz has been with pride providing domestic and commercial pest control services to homes and offices inside Brisbane and regional Queensland. Our first approach is geared towards making houses and offices safer, healthier with more hygienic. Our analysis is non-invasive, our appliances are eco-friendly. We proceed from government guidelines in the appliance of safe chemicals and our resolution directly tackles the matter. From termites and cockroaches to birds, bees and bedbugs, our licensed team of professionals can treat all pests – and fast! Singhz offers a wide range of choices for termite protection after you are building or adding an extension. We offer the right solutions to protect your home. Our mission is to provide a professional service of the highest quality. From termites and cockroaches to birds, bees and bedbugs, our licensed team of professionals can treat all pests and fast. Get Free Estimate Now!